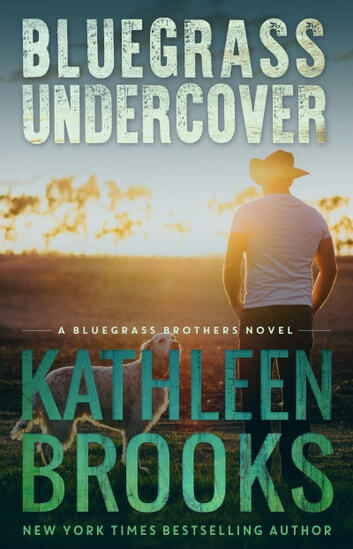 This is the first book in the Bluegrass Brothers series, which includes USA Today BestSelling titles Rising Storm and Acquiring Trouble. This is the follow-up series to the bestselling Bluegrass Series. Very good read. Couldnt put it down. Enjoy the way it is around family. Always look forward to the others. This romantic suspense kept me guessing. Annie is a DEA agent who goes undercover as a guidance counselor in a small town high school. A new drug, S2, is being sold to young athletes to help them perform better. While it does do that it also changes their personality and can give them heart attacks so Annie has to find the distributor/manufacturer to stop it's production. She meets Cade, the football coach, when one of his players who is on the drug is giving him a hard time. She steps in to save him, telling him he should take self defense lessons, not knowing that he is ex-special forces and can look after himself just fine. Even with Annie making Cade look like a fool, he's attracted to her. When they eventually figure out who each other are they work together to find the person responsible for getting this drug in the schools. I really liked this action packed story. It's fast paced but so well written that I never lost track of the plot or felt confused. I loved the small town of Keeneston and people who lived there. Gossip in this town was the main activity and news traveled faster than you can imagine. They even placed bets on when Annie and Cade would get married and tried to find out from them what date they liked for a wedding. It was hysterical. It was nice to see Cade's family be so close and supportive. That was the complete opposite for Annie who didn't have a family. I liked the way she became part of the community and made friends. 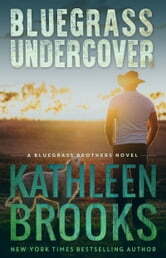 If you like romantic suspense that will keep you guessing to the end, I recommend Bluegrass Undercover. Great storyline and I really enjoyed Cade and Annie's story....it was as intriguing as Kenna, Dani and Paige's story being that it spanned literally 3 books but it did have the suspense and just the right amount of quirky, witty, and romantic! can't wait to read the next one! I'm so anxious to read the rest of the series now! !